De GoPro set water van mantona bestaat uit alle bevestigingselementen die nodig zijn voor het filmen tijdens duiken, zwemmen, snorkelen of andere vormen van watersport. Dankzij de lichte drijfhulp met waterdichte behuizing kunt u de GoPro snel en gemakkelijk vinden, zelfs onder troebele visuele omstandigheden. 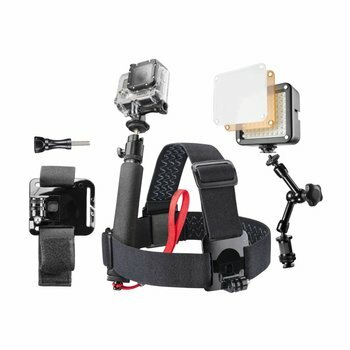 The GoPro set water from mantona consists of all fastening elements required for filming during scuba diving, swimming, snorkelling or other types of water sports. 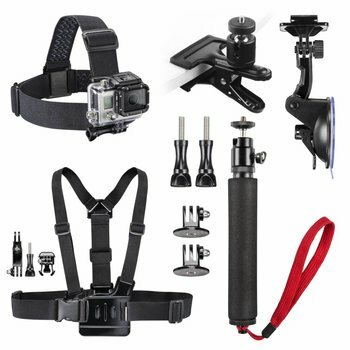 The combination of the single parts enables you to find your GoPro quickly and easily, even in turbid water. The floating handle serves the purpose of a hand pod and is delivered with an arm strap, it stabilizes when shooting by hand. Both the angle piece and the fastening set enable the mounting to all smooth surfaces and offer various image options. With the mantona buoyancy aid you are well equipped for scuba diving. 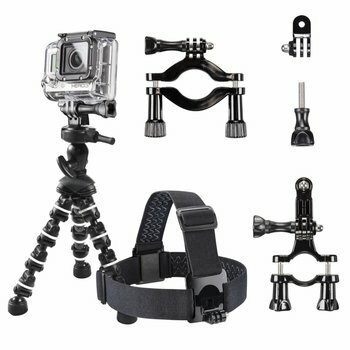 It serves as tripod and brings your GoPro back to the surface of the water. The convenient hand strap additionally protects against loss.